December 14th -- 11 cms. December 21st -- 22.4 cms. December 24th -- 26.2 cms. I've seen various totals in various news sources. 103 cm's total seems to be about right. inches and feet, that's 41 inches. Shoveling snow is now the new provincial sport. Thanks Jayne, all the best in 2009 for you and your family. Thanks Susanne. Yes, the whole landscape seems to be transformed. I am looking forward to following your new adventures! I added you in my links if you won't mind. Thanks. Hi Ellen! I agree, we may as well enjoy and rejoice in it. Thanks so much for the links add. Very nice winter photos. 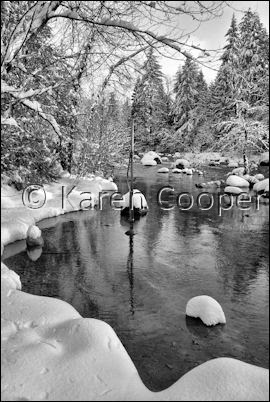 My most recent Blog post was about getting up off the couch and finding winter photo ops (kind of a self-talk). Your shots will inspire me to keep slogging through the cold and snow. Hi Lightcentric ...thanks for your comments. It is hard to go out in the cold and snow when it nice and toasty inside, but the scenery is not with us long. Hope you are getting some great shots.